Or, “the race that almost wasn’t”. Flash flood watches and warnings were put out two days before Race Day, September 22. The weathermen were calling for three days of torrential downpours, with 3-5 inches expected. I began stalking the event’s Facebook page, checking the weather reports hourly and keeping David, who was away on business in Texas, updated with any new developments. 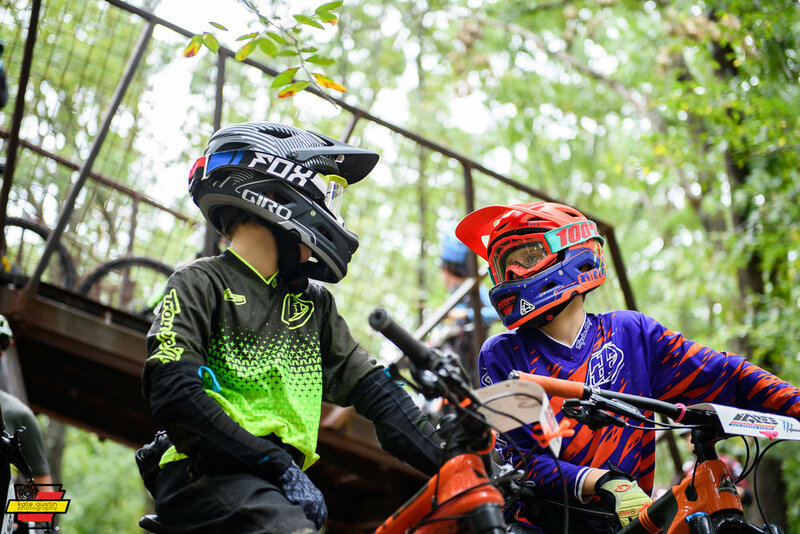 Was Mother Nature going to change her mind and let a bunch of rowdy mountain bikers ride the trails one last time before this Series was to end for the year? 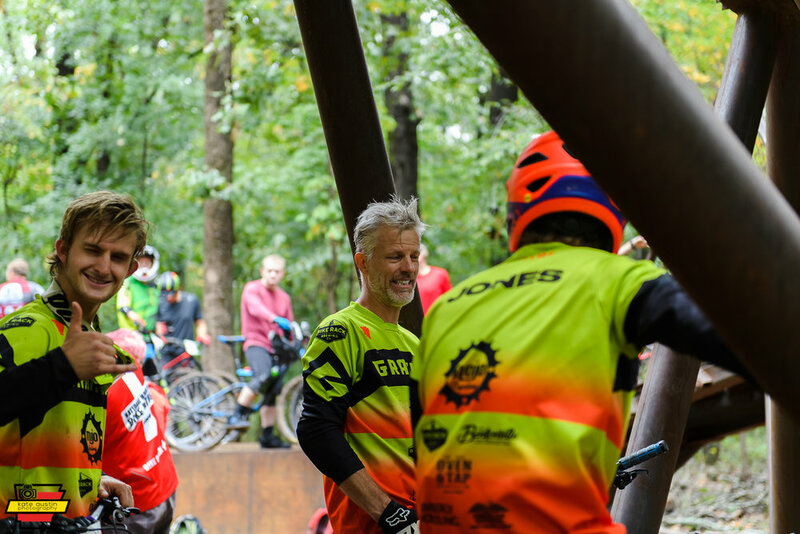 I received a group email last Friday while picking up David from the airport, letting me know that, because of changing weather reports, the race was still on, but beginning at a later time so the trails would have a chance to dry out. 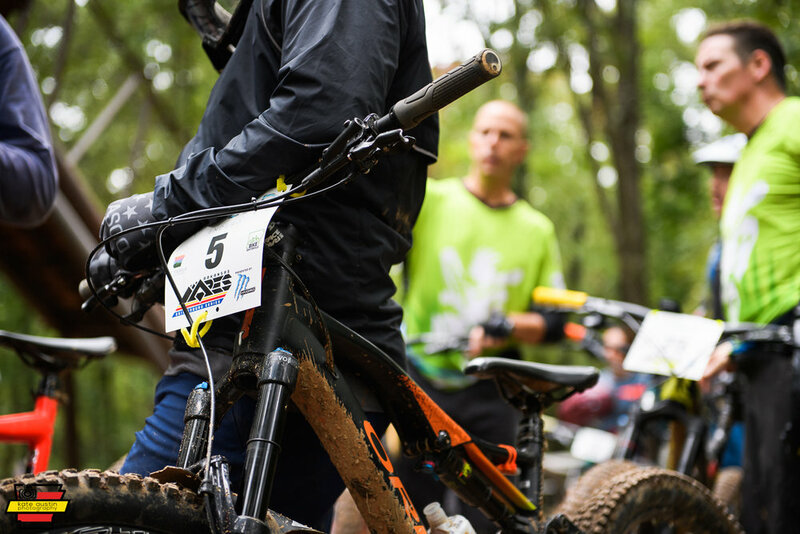 I’m so happy that the event organizers went on ahead and decided to hold the race (after all, they’re mountain bikers, too, so what’s a little mud, right?). 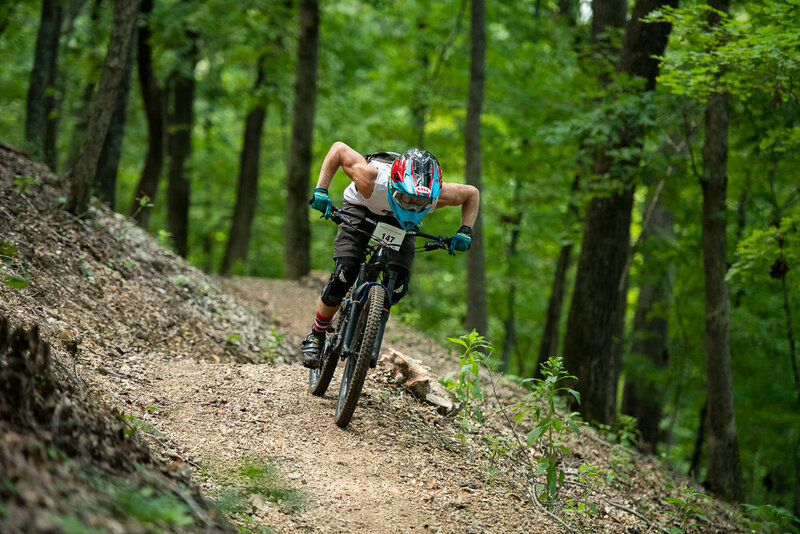 This race, held out at Color MTB Preserve, was a real party. I mean, all the past enduros were parties, but Saturday’s race was the last of the series, so there was even more of a party atmosphere. David and I stayed mostly at the Hub, a large area that covers all the trail heads, complete with park benches scattered about where on non-race days, the lone hiker can rest and catch her breath after hiking uphill chasing after her mountain biker husband and son. 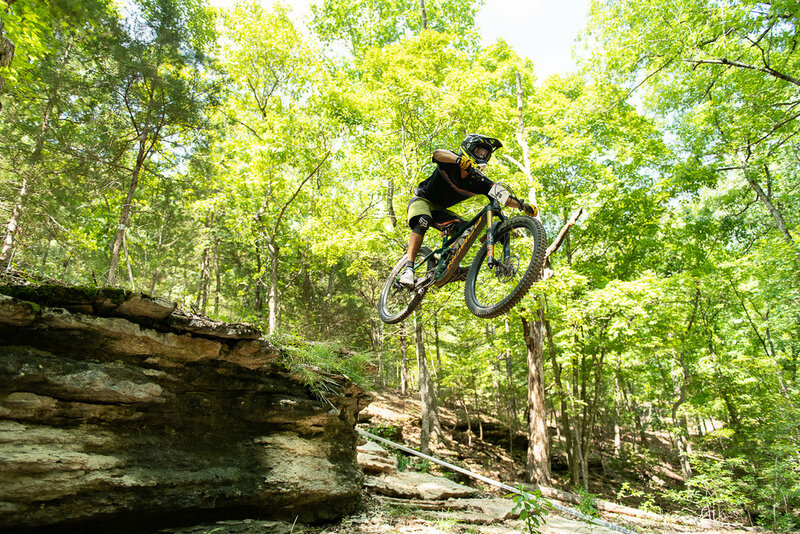 I did hit some of the trails for a few different kinds of photos, but mostly it was up at the Hub that all the action was happening. We got to chat with friends that we had made during the racing season, tease a few kids (nicely, though! I just can’t help myself sometimes. ), get all kinds of dirty and muddy (that’s what Spray & Wash is for, right?) and just hang out with a great group of people. Mountain bikers are some of the coolest, friendliest and welcoming kind of people I’ve ever gotten to meet. I’m going to miss this series and these people. They sure know how to make a life-long runner feel like one of the cool kids. 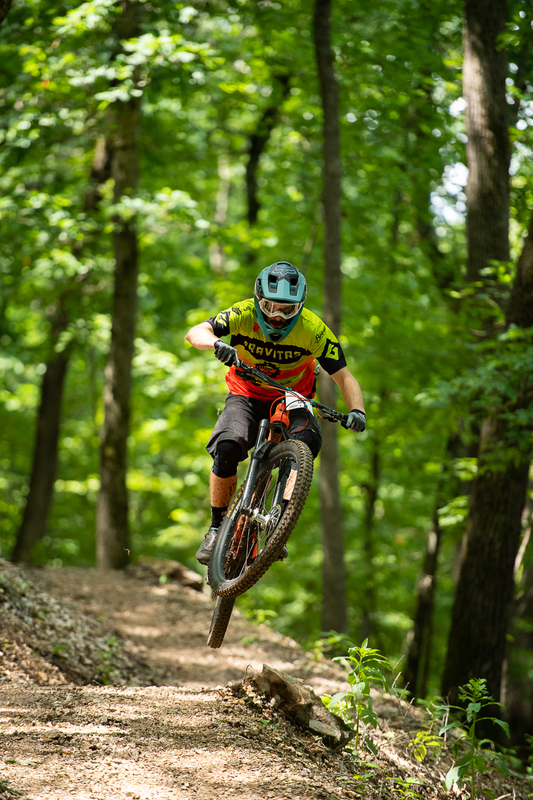 And boy, do they know how to shred a trail! I pick out a spot along the bike trail that will give me the best viewing, and set down my backpack. From where I'm sitting, I can look to my left up the trail to be able to see the approaching racers and I can also stand up and look down on the top of them. The spot I've chosen is covered in green loamy moss against a tall oak tree that has the perfect little hollowed out space at the base of the trunk for me to rest my back on. I take out a water bottle, drink from it and settle down to wait for the race to begin. The patterns of leaves on the trail dance in and out of shadow as the sunshine above plays amongst the clouds. A red tailed hawk silently soars above my head, close enough for me to see the glint of his hungry eye and the mottled speckles on his chest. The forest around me grows hushed as all the smaller birds hunker down in fear of being his lunch. The quiet lasts an eternity, but it's no longer than a minute as the hawk flies away from our corner of the woods and down into the valley below us. At his departure, the trees around me erupt into cheerful chirpings and warbling as the birds give the "all clear" signal. I find myself absorbed in this life, this moment amongst the wildlife and birds. The noisy quiet envelops me and I realize just how small I really am in this world. It's not a scary realization, but a comforting one to know that I'm welcomed here, that I'm not bothering anyone and that I'm accepted amongst the birds and the trees and the moss. I look at my phone, checking the time and take another sip of water. I pick up my camera and set my exposure and goof around for a bit, zooming my lens in and out on a tree to the left of me, creating pictures that would make Meghan seasick if she saw them. I set my camera down and look at my bloody knee, skinned up from slipping on the wet trail and falling on a rock as David and I hiked up to the starting area 30 minutes ago. I swab some water on the dried blood and see that the mess isn't as bad as it looks, and poke the knot on my shin, already turning all kinds of colors. That will be pretty cool looking in a day or two. Somewhere down the trail near the start, I hear a cowbell and whoops and hollers, signaling the start of the first stage of the race. 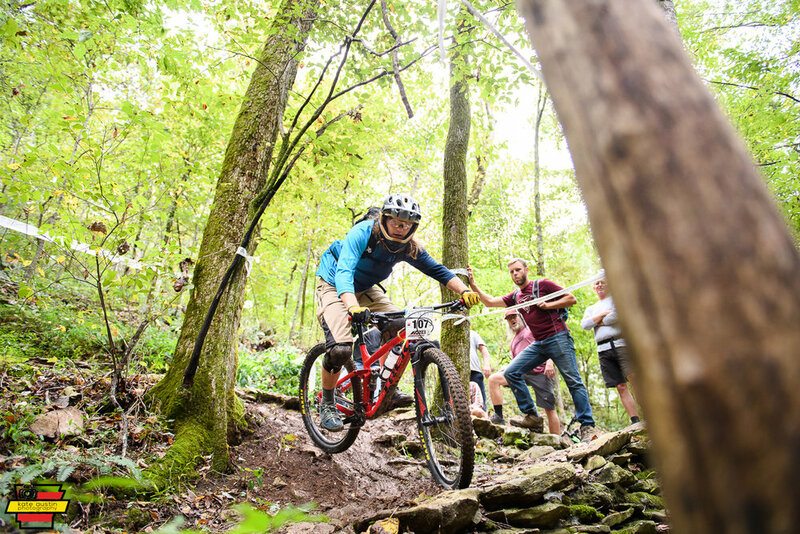 I put the camera to my eye and wait for the first mountain biker to race by me, ready for an afternoon of rowdiness, whips and good cheer all around. Click goes my shutter and we're underway.